I've had friends visiting from Oregon. On a beautiful, sunny crisp fall Friday, we went to Seattle Center. They wanted to see the Chihuly Garden and Glass. Convenient, as I'd not yet been inside. We arrived before the Glass exhibit was open, so we went to see the exhibit at the Science Fiction Museum. 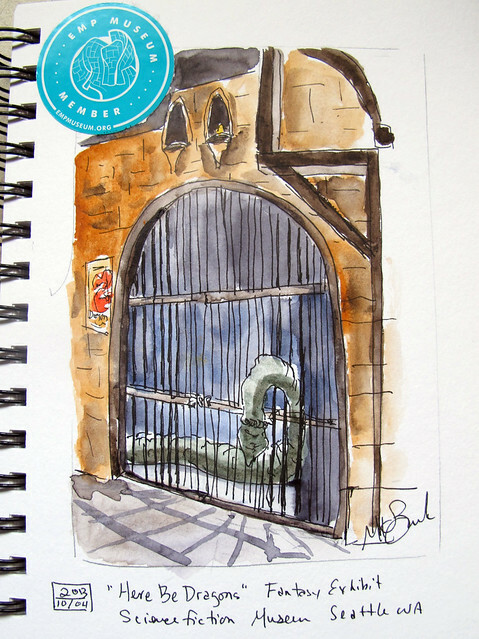 Since I'd seen it before, I did a sketch while they toured. "Here Be Dragons" from the Fantasy exhibit This is the tail of the caged dragon. 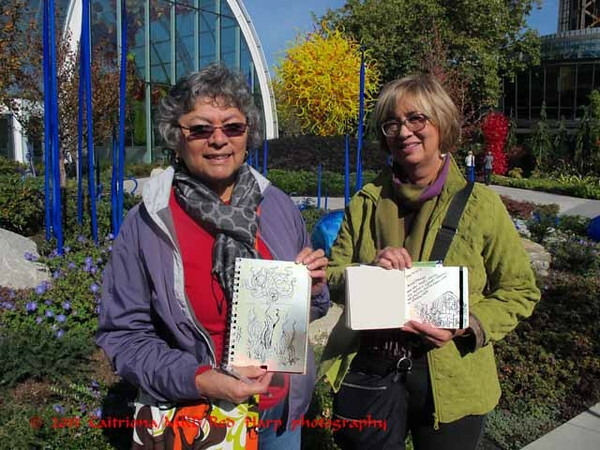 Then we went to the Chihuly Garden, where I happened to run into 2 sketchers from Orange County, California. They'd been in a workshop. They asked me, "where's you sketch book?". I explained I was with friends and we were moving through too quickly for me to sketch today. But I showed them my book with what I'd done earlier!